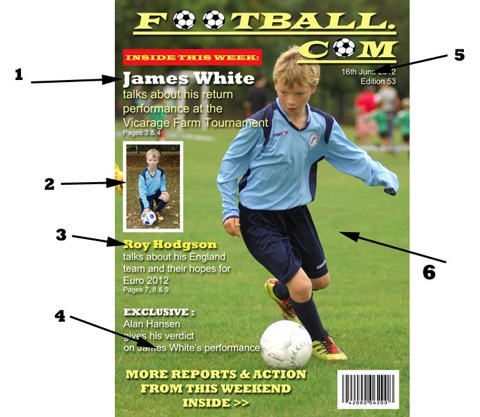 If you would like your photographs placed onto a Magazine cover design, simply fill out the form on the right with the relevant information. We will design accordingly and send a low resolution image to your email address for your approval. This comes as stand alone with no surround or mount but is a fairly standard size for frame purchasing. ***Basic design is subject to photo's fitting. Any major re-design may incur additional charges with consultation. 5. Date required if different to tournament date ?